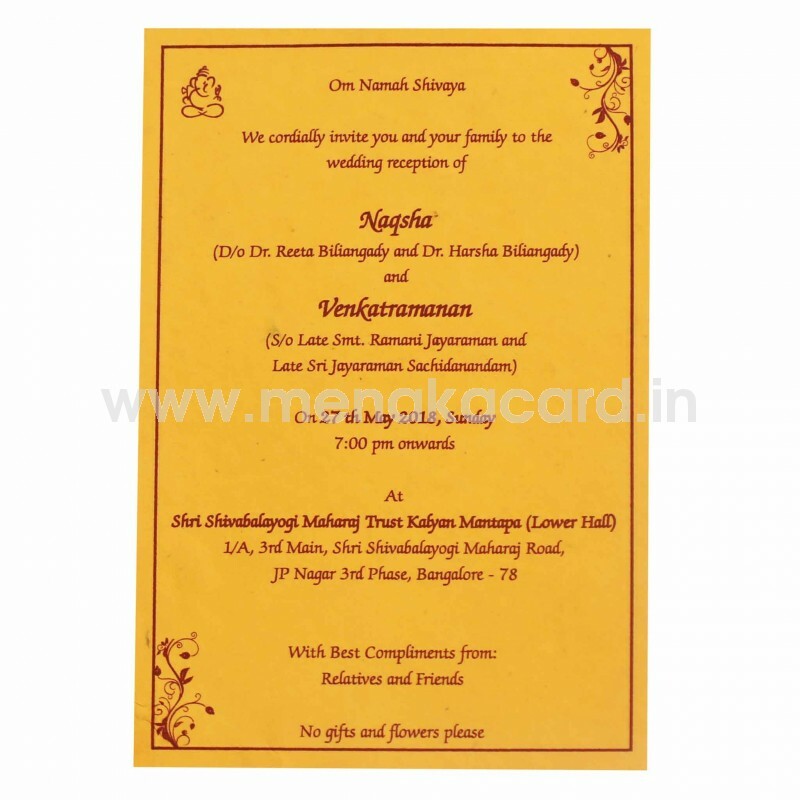 This graceful single card and cover is made from a rich turmeric yellow handmade board, printed with a contrasting deep maroon ink framed by a solid line border. The envelope is a contrast made from a cream handmade board printed with the same maroon ink as the card. 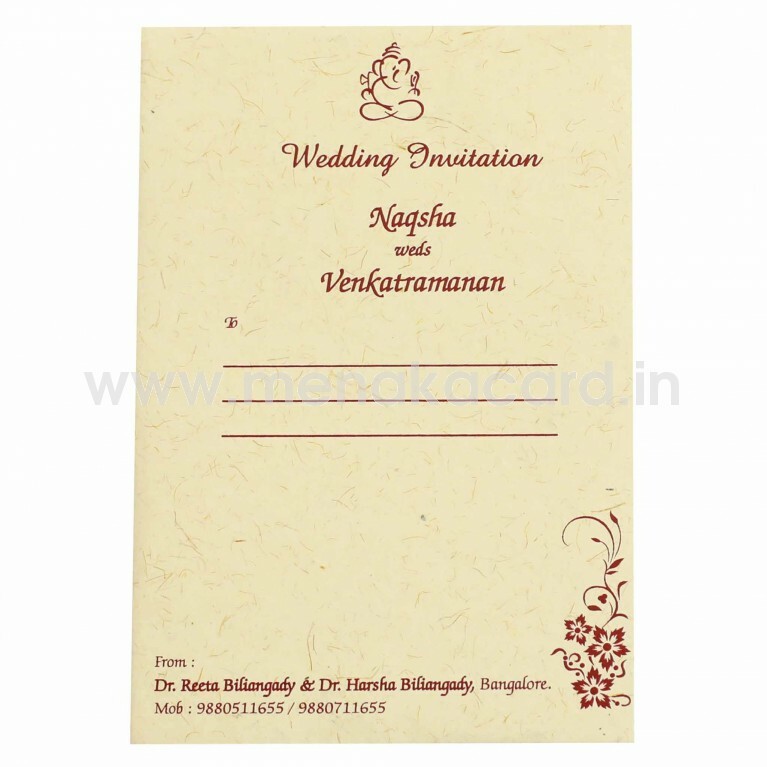 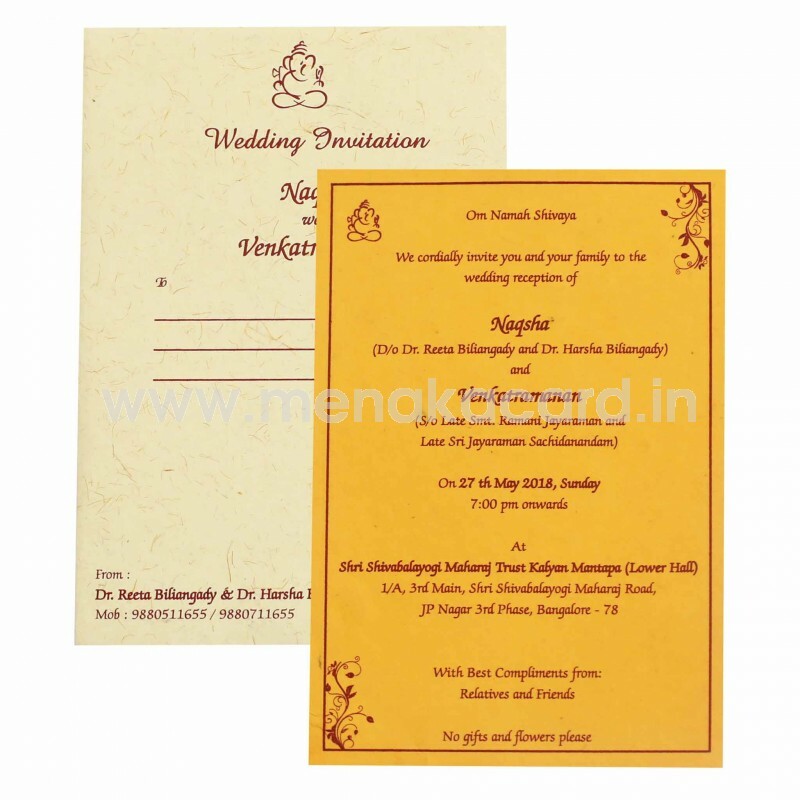 This can be used for smaller and simpler functions like personal wedding invitations, upanayanam, grahapravesham etc.